It’s that time of year again, summer is almost upon us and so come the thoughts of some fun in the sun for 2 weeks. I have visited the Mediterranean on a cruise several times but I never tire of it. I love the atmosphere in countries like Italy and Spain during the summer months so it’s no surprise that I am once again preparing for a Mediterranean adventure. The cruise I am due to sail on will also offer me two new ports of call. La Coruna, Spain and Ajaccio, Corsica. I did actually cruise to Ajaccio one before but it is a tender port and sadly the day we arrived the ocean decided to whip up a storm so I never left the ship. Other ports on the cruise are Valencia, Barcelona, Gibraltar, Monte Carlo and Civitavecchia. I have visited each of these ports several times so I now know them like the back of my hand. Again though when the sun is shining and you are sailing in on an impressive white whale even these never become boring. I like to shop in Gibraltar, watch the rich and sometimes famous stroll by in Monte Carlo and the others, I normally decide what to do when I get there. It’s been 5 years since I was last in the city of Rome so I think this time I may make a day of it and head back for some good old sightseeing. It was the height of the summer season when I was last there, the temperature got above 100 degrees and the excursion was 10 hours in length. To say I was exhausted by the time I returned to the ship was an under-statement, I barely knew who I was by the time I made it to the gangway. I’m not in a hurry to do that again but it would be nice to go back. 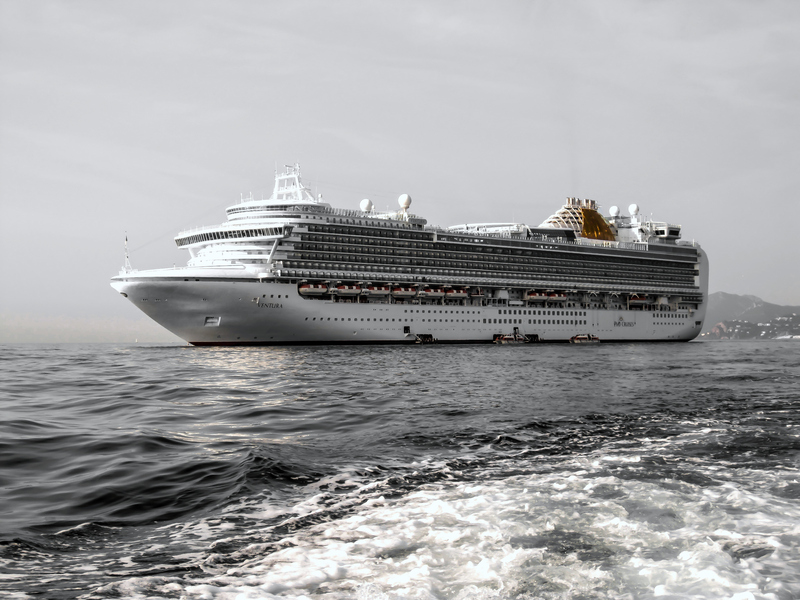 So which ship are you going on I can hear you say, well, I am going back to my beloved, Ventura. Ventura is one of my favourites and yes I am obviously looking forward to the cruise but I am also looking forward to seeing her, post refurbishment. I am yet to have a bad cruise on this ship, she is fun, full of energy and if there were one thing that ever kept dragging me back it has to be her tiered stern. I am never more content than I am when here watching the sun set. If you are booked on this cruise then let me know! Ventura sailing June 15th 2013. Only 16 days to go! Have you ever had a superior balcony cabin on Ventura? I’ve heard they are very nice and I’m curious to get some opinions on these staterooms, we are sailing on her in July 2013, going to the Canary Islands. I have not i’m afraid. I have seen a few standard balcony cabins which were very nice but never had the pleasure of a superior. I am sure you will not be disappointed though. 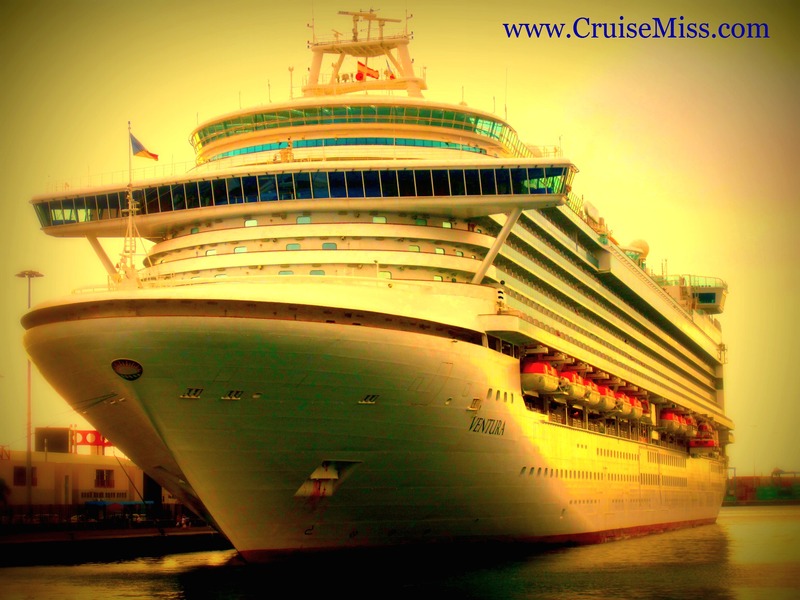 Great post Danielle, enjoy your cruise!